Are you a business owner and want to get started with property investing? Great! Business can be very profitable if you know what you’re doing. If you’re doing well, you might be looking for something to do with the money you’re making. It is a good idea to channel at least some of your earnings into property, as it is one of the most stable investments with good returns. Your portfolio can give you some extra security that if you want or need to get out of your business in the future, you’ll have a stable passive income you can count on. 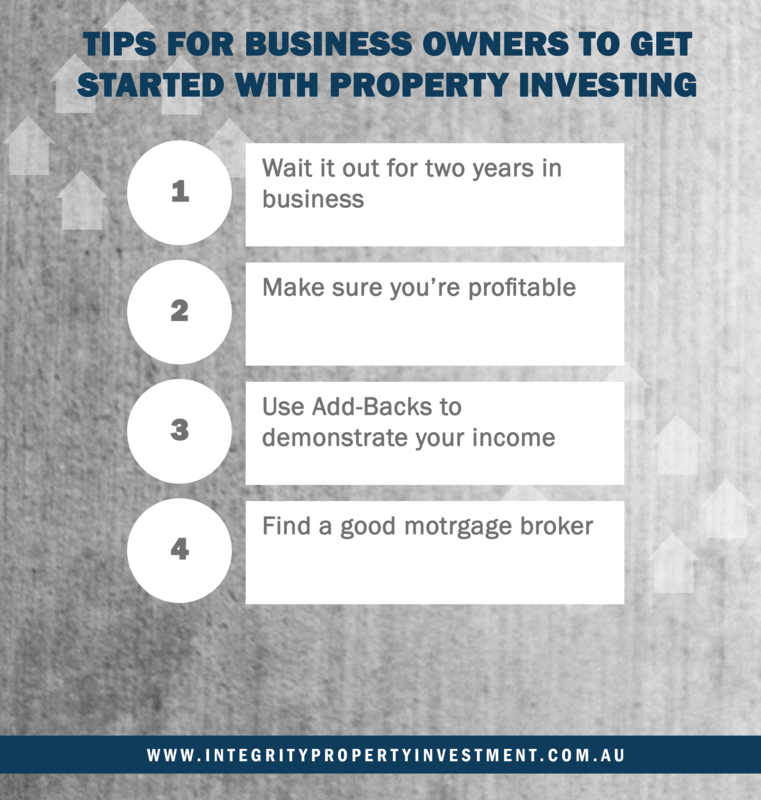 However, when it comes to property investing (particularly the financial side of it), there are a few things you need to be aware of as a business owner. Many business owners structure their expenses and finances to minimise the tax they pay, which is very smart. They might pay for a lot of expenses (like their phones, cars, and home office space) through their business. This reduces the amount of profit the business makes, and therefore the amount of tax the business owes. They simply pay themselves a smaller income, as these expenses are being covered through the business. The problem with this is that it can look like they are making a lot less money than they actually are, which will make it harder to get a loan from the bank. Before you get started, you need to have been in your business for about two years. I only know of one bank that will lend you money after one year. For most banks, it’s two years. For both of your two years in business, you need to be able to demonstrate that you’re in the green and your business is clearly making a profit. If it’s not already profitable, talk to your accountant and business advisors about how you can reduce your expenses and bring in a consistent stream of income. Let’s say you only paid yourself $37,000 during the financial year. There might be a bunch of other things that you used your business for which technically added to your income by covering your expense (like phone bills, car repayments, etc.). Or major purchases through the company that you could have chosen to forgo and instead keep the cash as profit. For example, paying cash for a car that wasn’t totally necessary. Let’s say the car was $30,000… it could be demonstrated that this $30,000 could technically have been additional salary if you had wanted it to be, bringing the amount up to $67,000. Alternatively, you might have chosen to reinvest your cash into the business. A good mortgage broker can demonstrate this to help get your loan through when you appear to be earning less on paper than you actually are. In case you haven’t already guessed, a good mortgage broker is integral to your success as a property investor, especially when your situation might be a little more complex. Find a good mortgage broker who gets it (we know a good one!) and know where your income needs to be before you can get started. Even if you don’t think you’re ready yet, talk to your broker now so you can get a solid plan in motion. 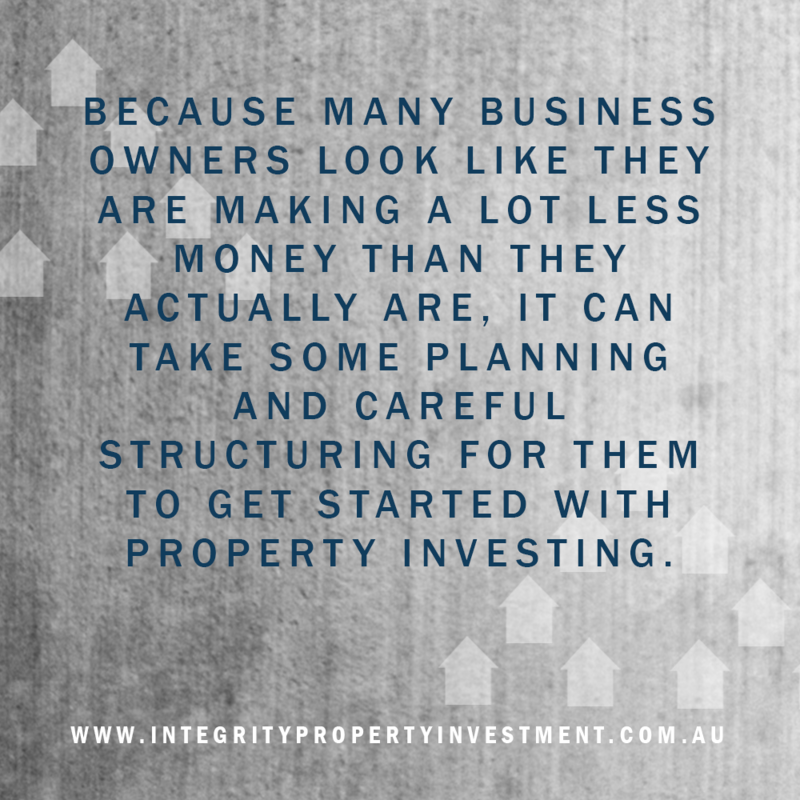 I know a lot of talented businesspeople who are doing well in their businesses, but many of them are missing out financially because they haven’t got serious about property investing yet. Most of them have homes sitting there with heaps of lazy equity that they could be putting towards investment properties. That’s heaps of money they’re leaving on the table. If you’re a successful business owner, you know that you have a responsibility to use your resources for maximum impact in your company. It’s time to start looking at your personal finances the same way. Get serious about property. Talk to my team for more specifics on the best structure for your finances so you can grow a portfolio while you continue to grow your business. Previous post Beware Of The FIFO Trap! Next post Think You Can’t Afford To Send Your Kid To A Great School? Think Again!